In line with the 'to-dos' of this week, I have decided to reduce..... in short i'm not drinking any coffee this week. 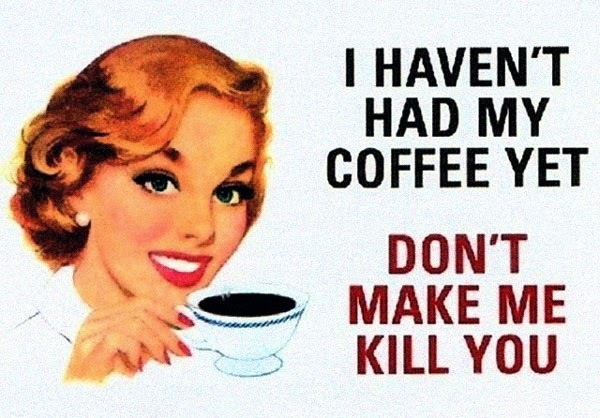 So, no milk or creamer for me, no coffee, plus no bread (For a long time)either. Let my tummy rest small biko. I've been breaking out a bit for the first time in a long while, I think too much coffee might be causing it. I need my skin to rejuvenate. I will be having plain unsweetened yogurt for dinner, every 2 days all week. I will lace the yogurt with some nuts like the ones I showed you last Friday. Will be having at least 3 cups of green tea everyday, 1 cup before every meal. Will be eating low carbs meals all week or only 1 complex carb meal a day. Will resume coffee next week. I got some amazing coffee from a lovely sis and friend. hehe! I chose for us to have yogurt all week here because, plain 'low fat' unsweetened yogurt can act as a cleanser, purifier, filler and cooler. Lol, no kidding o. Just make sure you are eating the real thing. So, who is in on this with me? Anyone? Anyone? Lol. Don't leave me out in the cold, lets do this and share results by weekend. Please post a comment if you are in or if you've already tried it and noticed changes. Did you know that what you are eating could be causing your skin to dry up and break out? Luv ya and God bless. P.S: Watch out for the GIVEAWAY post soon. You can follow my blog by email to get the posts as soon as they drop. See the tool on the left side bar on the blog home page. Thanks. Am already in!! Started on Sunday, but will have green tea after meal. No complex carbs for me *rolling eyes* but YES! Whether d craving like am or not. Pls where does yam, plantain and sweet potatoes fall in, in the carbs family. Nelo. Good idea Nelo! They are complex carbs, full of fiber. Thanks. Green tea is ever refreshing, glad am loving it again. I really hope you find that yogurt, but if not then look for a low fat one. Thanks for your support my luv!